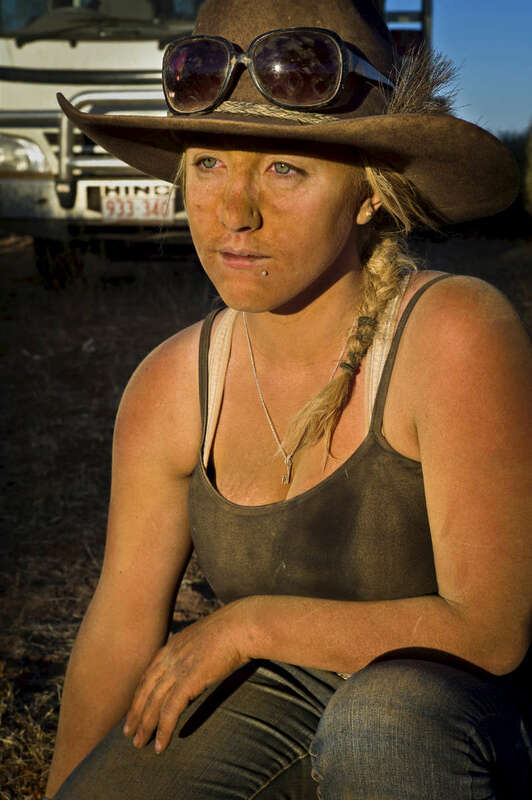 22-year-old Cassandra is one of only two women who are part of the mustering team. The workers get free meals and accommodation and are paid between a$600 and a$800 per week. 2011, Northern Territory, Australia.